We are excited to have you and your students join us. The information on the following pages is required to begin the registration process. We look forward to seeing you in the halls and we thank you for choosing our school . ​​Our School hours are 8:30 am - 4:00 pm Monday through Thursday and 8:30 am- 12:45 pm Fridays. Before and after School program is available, please refer to the parents handbook or call 515-255-0220 for more details. ​Your child will be taken to the community room 4:10 pm if he/she is not picked up on time and extra fees will apply if your child is not registered in the before or after school program. ​​Proof of age is required for all new students. In Iowa, a child must be five years old on or before September 15 of the year he or she starts school in order to enroll in kindergarten. 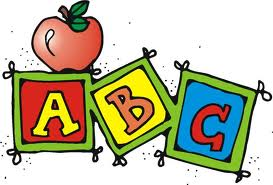 Proof of age is requested at Kindergarten Roundup and required prior to the start of school. For students in grades one through 12, proof is also required before your child can start attending school. •A certificate obtained from the county the child was born. Upon enrollment; you will be asked to read and sign the students/parents handbook to ensure understanding of our policies and procedures. Signed contract is required. The administrator/director will discuss that with you.